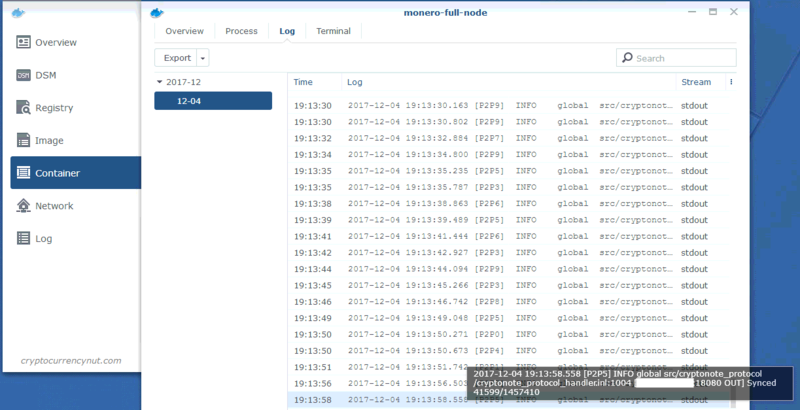 First, log into your Synology DSM and open the Docker package. On the left hand menu click on Image, then click on Add from URL from the Add drop down menu. 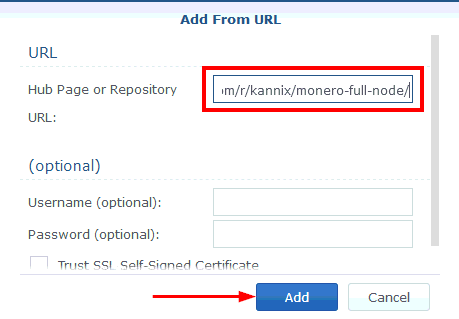 Next select the Monero Full Node image and click on Launch. Now give the container a name of your choice. I have also enabled resource limitation to Med CPU priority and 2GB of RAM. Then click on Advanced Settings. 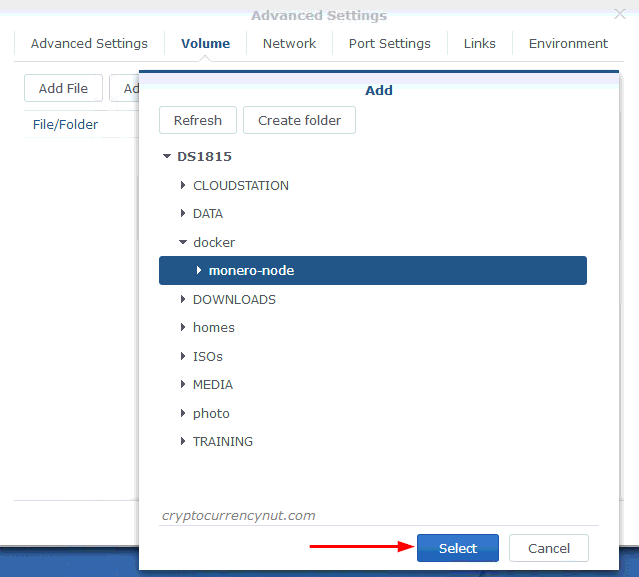 Now click on the Volume tab, then Add Folder and select the folder you want the Monero node docker image to store the blockchain. 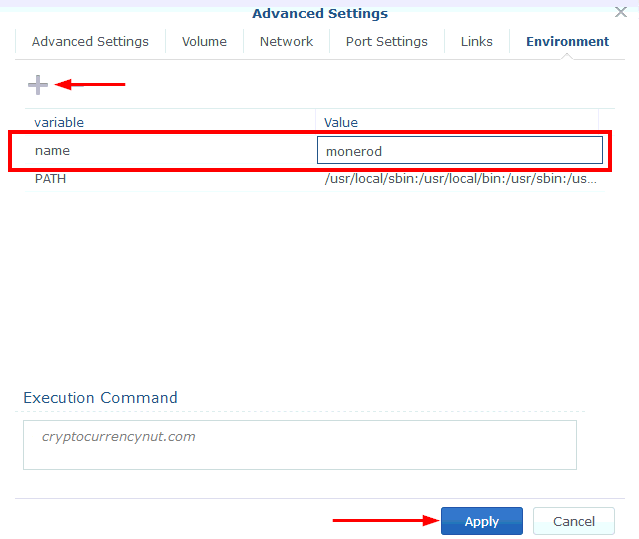 Now go to the Port Settings tab and change the Local Port to match the corresponding Container Port, as shown below. Next go to the Environment tab and click on the + button to add a new variable. Type name for the variable name and for the value type monerod. Then click Apply. Then click on Next, and then Apply. 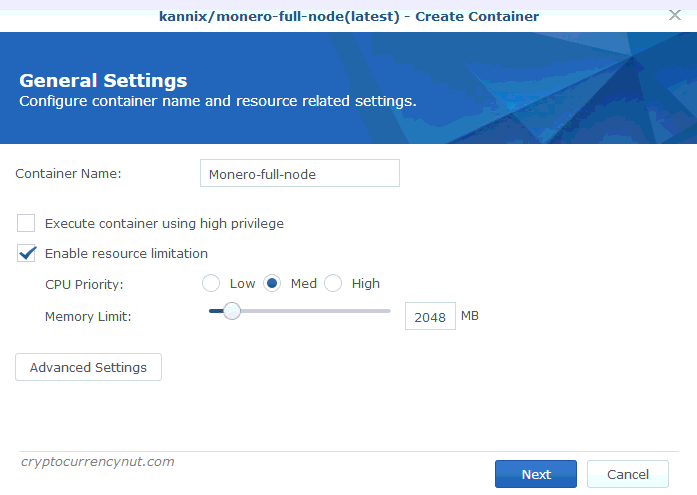 At this point your Monero Node is now up and running and should be downloading the blockchain now! Notice: Downloading the blockchain can take several hours. 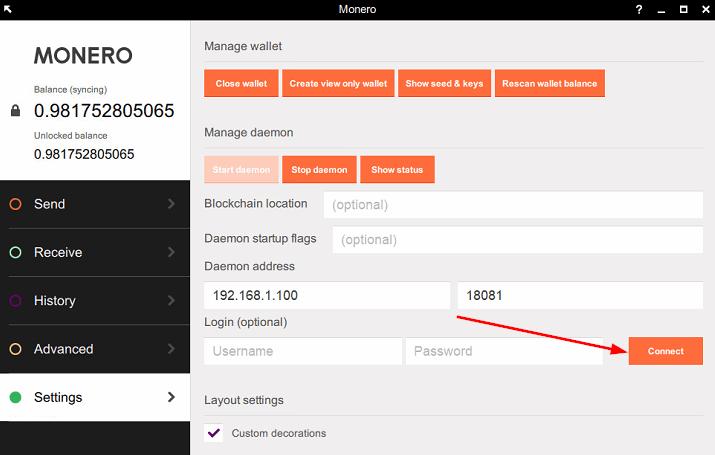 Simply open your Monero Wallet and go to the Settings on the left hand menu. Then change the Daemon address to the IP address of your Synology NAS and click on Connect. That’s it! 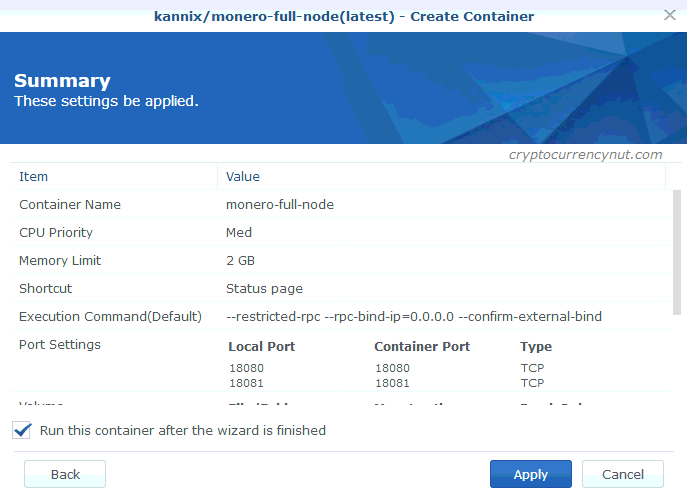 You now have a full Monero Node running on your Synology NAS within Docker. Do you have any advice on binding the rpc to the ip of the Nas? as execution commands in the environments tab when creating the container. But I keep running in to errors when starting the container. It does run fine without these commands, but as I understand it, it would leave the node open to receiving commands from outside connections. That’s all really based on personal opinion, but bitcoin and monero both have done well for me.